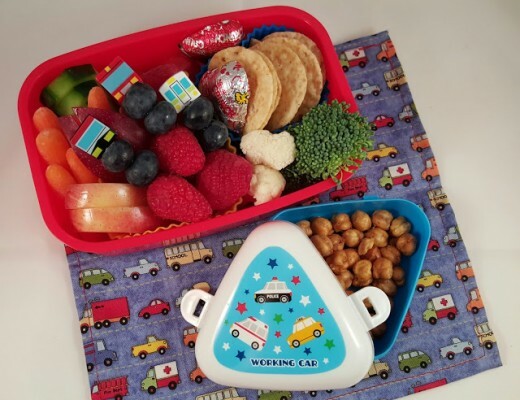 Sometimes when deciding what to pack for lunch, I check out what National Days are coming up. Looking at the list sometimes sparks an idea or reminds me of some supplies I have around. This was one of those nights. I looked and saw that Tuesday is National Play Tennis Day. Then, I remembered that a friend had sent me a cookie cutter shaped tennis racket and that I had a couple of vintage tennis racket picks from the Mother Goose store on eBay. Then, lunches came together and the process was fun. The lunch above is for my husband. 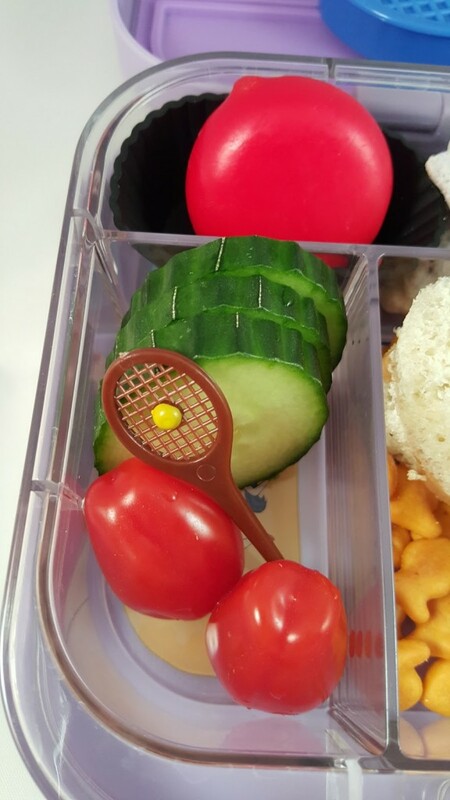 He has a turkey and pepperjack sandwich on a baguette alongside some veggies with one of the tennis racket picks. 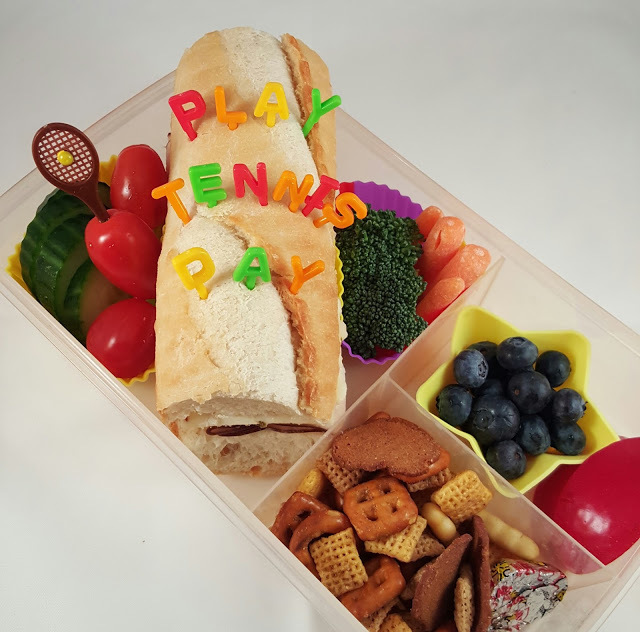 I used letter picks to spell out Play Tennis Day. 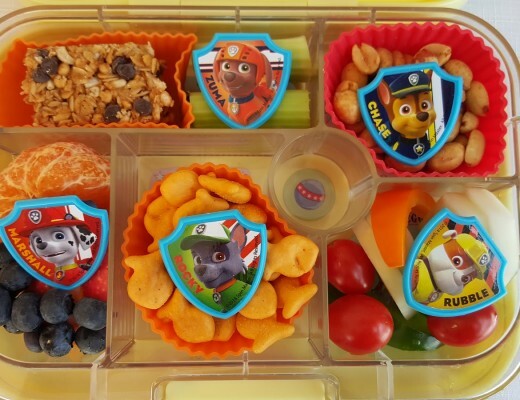 The other sections hold Chex mix, a chocolate, blueberries in a star shaped cup and a couple of slices of nectarine. This is packed in our Fit and Fresh three section box. 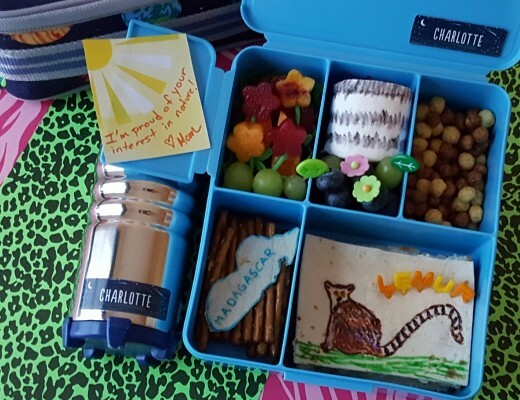 The next lunch is for my daughter. 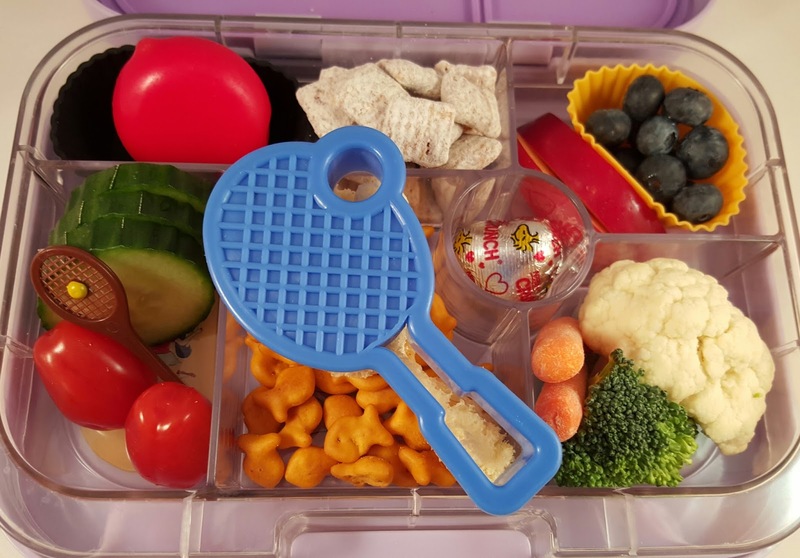 It is packed in a Yumbox. 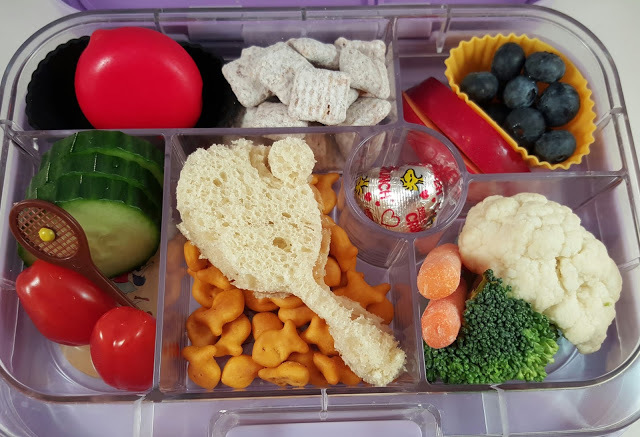 She has a Babybel cheese, Muddy Buddies, fruit, veggies, and a tennis racket shaped peanut butter sandwich lying on a few Goldfish crackers. I used the cookie cutter above to make the sandwich. My daughter liked the idea of the mini sandwich in this shape. This is a closeup of the tennis racket pick. I think it is pretty cute. Check out the Mother Goose eBay store for more cute picks.